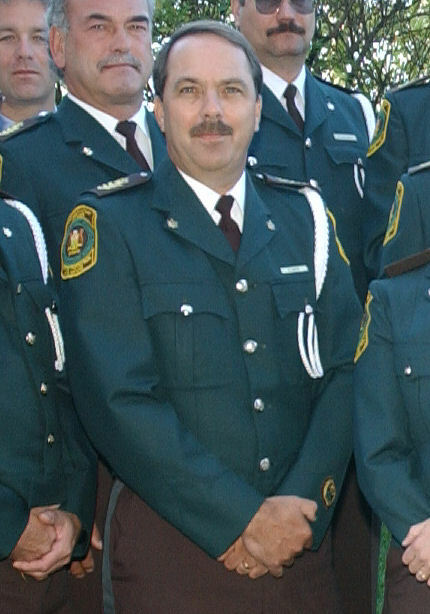 Dan Smith began his career as a Conservation Officer in 1978, in the former Cambridge District. Dan has worked in Petrolia, Chatham, Lake Huron, Lambton County, Minden and for the last eight years, Dan has worked as the District Enforcement Supervisor in Bancroft District. 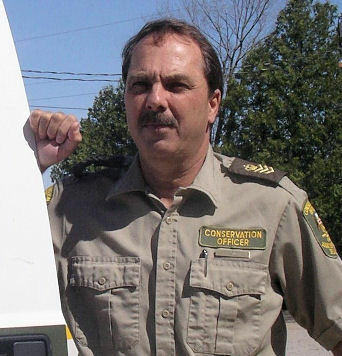 Dan Smith was selected to receive the Ontario 2005 Conservation Officer of the Year Award by a committee comprised of two Enforcement Branch staff, one District Enforcement Supervisor and the President, Vice-President and Treasurer of the Ontario Conservation Officers Association (OCOA). 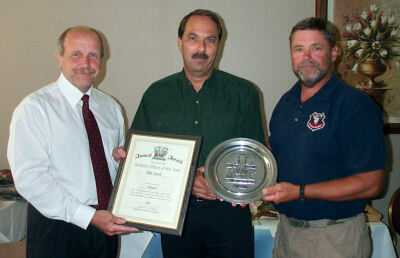 Conservation Officer Dan Smith was presented with Ontario’s 2005 Officer of the Year Award this August, at the Ontario Conservation Officer’s Association, annual meeting in Pembroke, Ontario, by Enforcement Branch Director Serge Tenaglia, and OCOA President Jim McMullen. The Officer of the Year Award was established to acknowledge the outstanding efforts and contributions of our Conservation Officers and both the MNR and OCOA are proud to have Officers such as Dan Smith working for the Ontario Ministry of Natural Resources Enforcement Program.